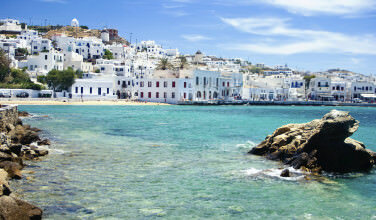 Kythira is one of those islands whose very presence seems as if it was lifted off the pages of one of the Greek myths. Sun soaked cliffs stand perched over the sea. Sprawling valleys and canyons dot the lush countryside. The island is also fairly close to the Peloponnese and is a mere twelve kilometers from the shore. The fact that the island is often shrouded in mist only adds the the allure. As the fabled birthplace of Aphrodite, the island’s landscape only seems fitting. Before you can arrive at the Cave of Agia Sophia, you first need to find your way to the island of Kythira itself. There are two ways you can get here – by ferry or by airplane. If you’re originating from somewhere on the Peloponnese, it makes more sense to take a ferry since it is so close to the peninsula. 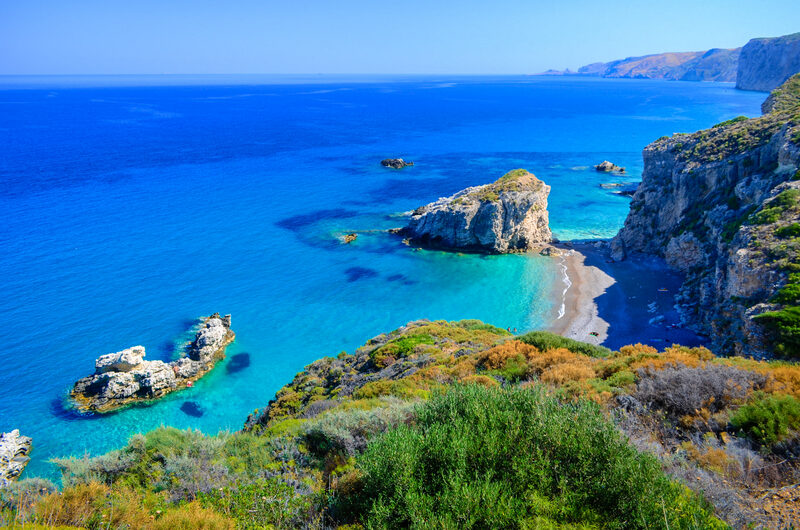 If you fare coming from elsewhere in Greece, such as Athens, you’ll want to consider taking a regional flight from the Athens Airport to Kythira. 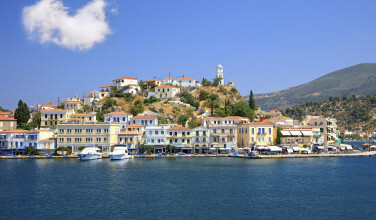 You may also be able to find a ferry from elsewhere in Greece. When you arrive on the island, you’ll want to find your way to the cave. You can rent a car and drive yourself, hire a taxi, walk (depending on where on Kythira you’re staying), or even take a bus. 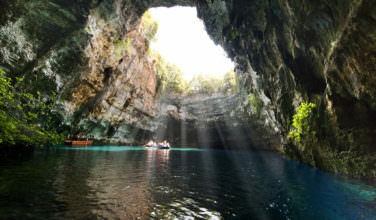 One of the top things to do while visiting the island is to spend time at the Cave of Agia Sophia. This is a nice example of the type of natural beauty that can be found throughout the island. This particular cave is located only slightly above sea level near Kapsali and Mylopotamos, two of Kythira’s most beautiful villages. The road that leads to the caves is very twisty and winding and it seems only fitting that there is a cave at the end of it. Once you arrive at the cave, you’ll see that it is beautiful. There are stalactites and stalagmites inside it as well as a cool, almost solemn atmosphere. The cave is also home to a small Orthodox Christian church and is a fine example of the places of worship that were scattered throughout Greece when the Greek people could only practice their religion in secret. If possible, you should consider hiring a guide who will take you through the cave and explain to you some of the history. While visiting the island of Kythira, there are plenty of things you can do while there. When you’re not spending time at the beach, browsing some of the shops, or learning about Greece in one of the museums, this cave will make a pleasant diversion.